1.) Be in open space. This means that you are letting your emotions flow through you rather than exploding your emotions all over your dog. 2.) If you are not creating the results you want and feel frustrated. Take break. Breath and fully feel and love the frustration you are feeling. The more you resist your frustration the more you will create it and the less success you will create. The more you love it and be in the moment with it the faster it will pass and the faster you will be in open space. 3.) Be consistent. Do not change the rules on your dog. Be clear. 4.) Be visually clear. 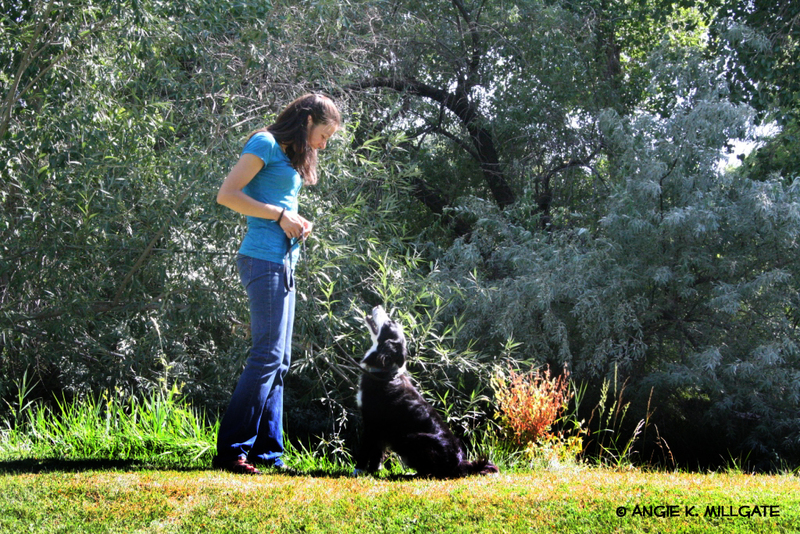 Your body language is the most important communication to your dog. If your dog is confused look at how you were moving your body. 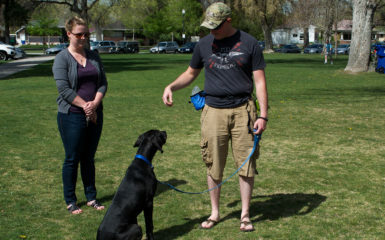 Can you think of a clearer way to communicate with your body to create your dog to do what you want? 5.) Use plenty of praise. When your dog does a great job acknowledge him / her. 6.) Use treats. Treats are more of a motivator than praise by far. 7.) Use a clicker if you wish. A clicker speeds up the learning process. 8.) Say your commands only ONE time. Repeating doesn’t usually create success. Repeating usually creates frustration. 9.) Look at associations. 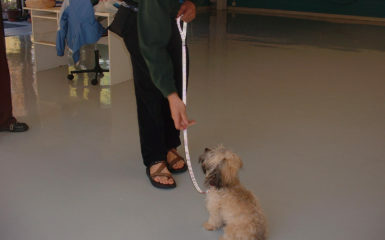 What happened before and after your dog performed the behavior? Your dog will do something again if he likes what he is receiving. Pay attention to pay offs and antecedents. 10.) Stop reprimands. Yelling at your dog doesn’t communicate to him /her what to do. It increasing negative emotions between you and your dog and decreases success. 11.) Most of all have fun! If you are not having fun then figure out how to create the training to be fun. 12.) End your training sessions on a positive note the best that you can. 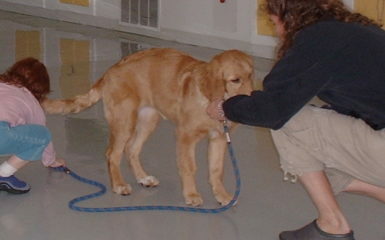 Your dog remembers the first and the last thing of the training session the best. 13.) Create easy approximations. Allow your dog to be successful. Take the terminal behavior that you want and break it up into steps. 14.) Focus on the positive. 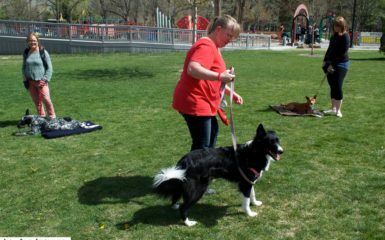 Remember your dog has a learning curve just as you do. Success doesn’t happen over night. I just found your blog and am bookmarking it. Thank you for these tips, I look forward to more!